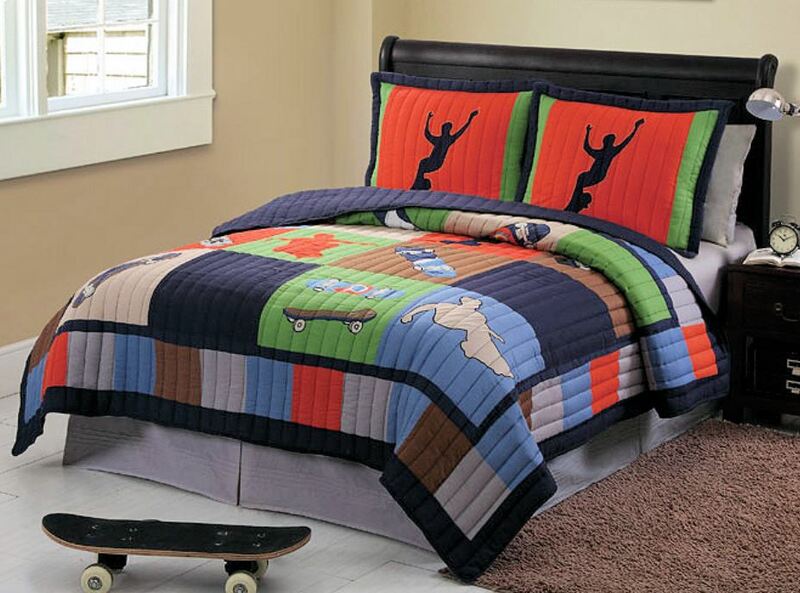 For the extreme skater's room, this bedding will surely give air to the most radical enthusiast. Patchwork and skating appliques in bold, cool orange, navy & light blue, green, and khaki. Reverses to a solid navy. Quilt set includes quilt and two standard shams (one sham with twin quilt). Sheet set (purchased separately below) includes flat, fitted, and two standard pillowcases (one case for the twin).